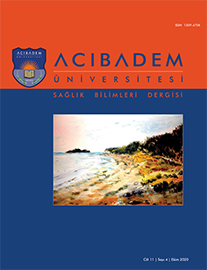 2Bağımsız Araştırmacı Doktor, Kadın Hastalıkları ve Doğum Anabilim Dalı, Stutgard, Almanya DOI : 10.31067/0.2019.105 Aim: This research was carried out to examine the views of senior students in nursing school in relation (that are related) to the two education systems they have received and to compare between the two different nursing education systems. Methods: This descriptive research was carried out with 200 senior students receiving education at Gaziantep University and Trakya University Health Science Faculty or schools between February and April 2015. As data collection tools both "Individual Identification Form" and "Informed Consent Form" were used. In analysis of research findings numeric values, number and percentage distribution and Chi-square test were used. Results: Mean age of students was 21.87±1.55 years; 50% were educated through classical education system, whereas other 50% received education through internship based education system. 15.0% of students in classical education system and 25% of students in internship based education system stated that they found the program of education system efficient in clinical applications; 36.1% of students in classical education system and 61% of students in internship based education system thought that education systems contributed to their professional care skills; 23% of students in classical education system and 51% of students in internship based education system reported that they developed working abilities consistent with nursing process. 74% of students in classical education system and 73% of students in internship based education system pointed out the most inefficient thing in clinic area as "excess of students working in the same clinic area". In addition, 27% of students in classical education system and 45% of students in internship based education system stated that they felt ready for nursing profession.